Stuck in the flurry of brand endorsements and enormous transfers, it is often easy to forget what football truly is at its heart – a team game where the players interact and function as a whole with intent to succeed and a passion to excel. This may be overlooked by the supporters, but the basic gist of individuals working with one another is of paramount importance. As a result, how players react to new arrivals, and mammoth ones at that, dictates the rapport that will follow. 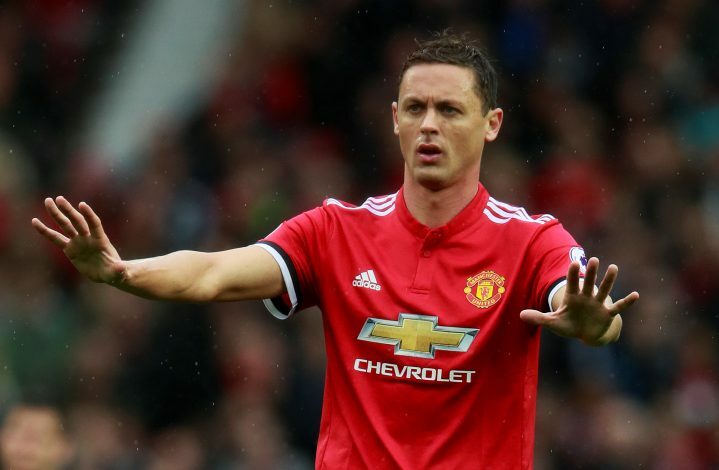 Now, at Manchester United, Nemanja Matic seems to show a positive reaction to a player who will soon be his partner at the heart of their midfield. The Serbian holding midfielder met his future teammate Fred when Brazil beat Serbia 2-0 on Wednesday. At the end of the game, the elder player handed over his jersey to the young Brazilian. The Red Devils purchased Fred from Shakhtar Donetsk for a sum of £52 million, a hefty deal for the 25-year-old who had also been reportedly targeted by Manchester City. Touted to be the replacement for the retired Michael Carrick at the heart of United’s midfield, how he will link up with Matic will be crucial to United’s shape for next season. The former Chelsea midfielder was of vital importance in United’s success last season, but his holding role meant that more often than not, Paul Pogba had to indulge in defensive duties, causing his more attacking abilities to be underused. Jose Mourinho will now be looking to pair the duo and see which is the best way through which the most attacking intent can be brought out of this team.